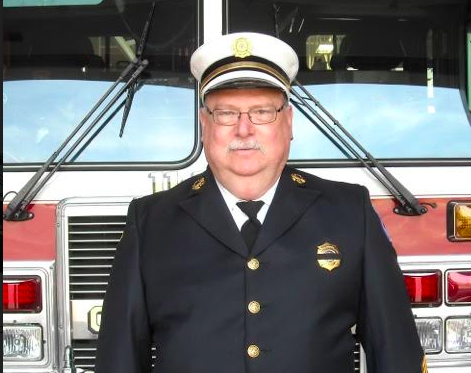 Volunteer Kenneth Gordon is the Chairman of the Board of Fire Commissioners that oversees the Orangeburg Fire Department, which is tasked with the mission of fire suppression and rescue operations within the Orangeburg Fire District. As the Orangeburg Fire District Chairman of the Board of Fire Commissioners, Kenneth Gordon has the obligation of ensuring that the Fire District has the ability to extinguish and prevent fires. He makes decisions with the other commissioners on the board concerning fire safety, including the expenditure of funds to ensure protection regarding training and equipment for the volunteer firefighters. Within the confines of the district, there’s a mix of residential, commercial, health care and educational facilities. “I have been active for 44 years and joined the Orangeburg Fire Department at 16 with 11 guys from Tappan Zee High School. As a junior firefighter I did everything except go into a burning building. At 18, I was taught the essentials of firemanship at the level of firefighter 1 (FF1), two times a week for 16 weeks at the Fire Training Center. My favorite part of the challenge was to drive a fire truck and I still do! Now firefighters take Emergency Vehicle Operator Course (EVOC) training, but then I learned defensive driving techniques in inclement weather, such as slowing down during snow events,” Kenneth Gordon told the Rockland County Times. Fire is hot! A fire’s heat alone can kill. Room temperatures in a fire can be 100 degrees at floor level and can rise to 600 degrees at eye level. Inhaling this super hot air will scorch your lungs. Fire is dark! Fire starts bright, but quickly produces smoke and complete darkness. If you wake up to a fire, you may be blinded, disoriented and unable to find your way around your home. Fire inspectors have numerous duties. Not only do they investigate the causes of fires, but they also help to prevent fires from starting. Fire inspectors are responsible for state and federal buildings by verifying that the structures and their fire prevention systems are up-to-date regarding fire and building codes. After a fire has occurred, a fire inspector is called in to analyze a scene. The inspector will interview witnesses and victims of a fire plus collect and process all of the evidence assembled. The scene may be reconstructed if the fire investigator needs to test a possible scenario. From there, the investigator will determine the cause of the fire-arson or accidental and may testify in court. The Emergency Vehicle Operator Course (EVOC) explains the importance of emergency vehicle driving, the hazards of intersections and the risks of backing-up apparatus and vehicles. Also, the course focuses on the different weight distribution factors, the center of gravity when driving the vehicles and steps to prevent Emergency Vehicle Roll Over. Defensive driving techniques include space management, following distance and rate of closure, hazard identification plus correct braking techniques. For additional information about volunteering, visit www.orangeburgfd.org or call 845-359-5887.